Collard greens sliced thin sauteed with bacon, garlic and oil. A perfect side dish for Brazilian black beans or black eyed peas with ham. My dad lived in Brazil for many years, and collard greens known as couve are a popular side dish there. I absolutely love them prepared this way, if you are a vegetarian, you can leave the bacon out. Still delicious! 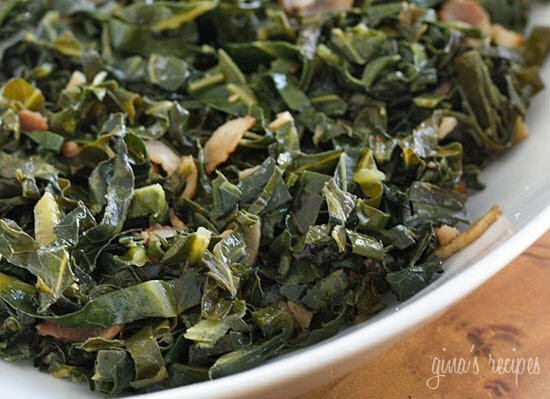 If you have collard greens and don’t know what do with them, another dish I love is Kenyan Braised Collard Greens with Ground Beef, known as Sukuma Wiki. It’s a good idea to include collard greens in your diet on a regular basis because of their ability to lower cholesterol and their cancer-preventive properties. Personally, I just eat them because I like them, so having the added health benefits is a bonus. Remove the tough stems that run down the center of the leaf. 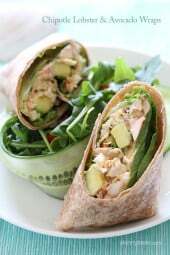 Stack a few leaves, roll and slice into thin strips. In a large saute pan, heat bacon on low heat. When bacon fat melts, add oil and garlic, saute until golden, about a minute. Add chopped collards to the pan, season with salt and cover. Simmer covered until tender, about 10 minutes, stirring occasionally. I can’t wait to try this in my Instant Pot! Gina- have you tried it that way yet? Not yet, let me know if you do! I cheated and used 16oz.bag of prewashed chopped collard greens, added some chicken broth and I will never make them on the stove again. I’m from the north but live in the south and really enjoy collards….just never could make them the way my southern friends could on the stove taking an hour or more. They only took 20 mins in the IP! I sprinkle apple cider vinegar that I added pepper flakes to, to give them a kick. Love your site and recipes, Gina! Thank you. This might be a dumb question, but how do you know when the collard greens are done? Great with caramelized onion as well. And scrambled eggs to complete the meal! Yum!! Yes I tried it at my place and it is a wonderful recipe. Good to see more recipies. . I just tried this recipe and my first time cooking collards. Delicious! OMG! These were sooo delicious. My 5 year old asked for more! We are from the south, and I never heard of sauteeing (?) collards. Now,I will never make them any other way! I did use two pieces of bacon instead of adding salt. Thank you for this recipe. Love it! I made with the Pernil, awesome also! You now have another fan. Will turnip greens work just as well? All this time I thought I didn't like collard greens. Turns out I just hadn't found a recipe to do them justice. Thank you so much!!!! So good! I added some diced shallots and finely diced red bell pepper, so delicious! This will be in the rotation. So, so good! Neither of us had ever eaten them before and they were absolutely delicious! Just tried it this afternoon. I also added some diced onion to the mix. This was terrific. I can't wait to try other recipes. This one looks sooo delicious. I'm vegetarian but I love me some Morningstar bacon so I want to try using that. I know you don't get the bacon fat which probably flavors the dish, but the taste will still be there! This turned out great. I had a huge bunch of swiss chard in my fridge and used that instead of the collard greens. Turned out amazing. Thanks for this. Fredah, turkey bacon has come a long way, so give it a try! So happy you guys tried this, I love my collards and I think it's a vegetable that's commonly overlooked. Had this for dinner with Pork Pernil and Cuban Black Beans. Oh my word. So great. First time eating Collard Greens and I can't believe what I've been missing! Thanks so much for all of your wonderful recipes! We made this for supper tonight with the pernil and brown rice. It was very filling and wonderful. These collard greens were so rich-tasting, even with only one piece of bacon. I'll add them to my recipe collection. Thanks for an easy and delicious recipe for cooked greens! My husband and I don't eat pork. (Sorry bacon lovers!) So are you sure it is better to leave the turkey bacon out and make it plain? Any suggestions for a good, healthy substitute? Gina, this was fantastic! We made it last night with your pernil recipe. I've never made collard greens before- what an introduction! Thanks so much!!! Nicole, just read your comment, good for you, your mom should be proud! Loryn, with eggs, that is interesting!! Caroline, it's confusing sometimes, isn't it? Bacon makes everything better! I'm looking forward to trying this recipe. My husband is obsessed with bacon so maybe he'll try some veggies for once. Made it and loved it! It was so nice to get that great bacon flavor in the greens. I cook kale greens like this. Sometimes I add small diced onions. A little bacon goes a long way. And it does taste better with it. I used real bacon, I would leave the bacon out instead of using turkey bacon, just my preference. Just wanted to post my first comment.. You're AWESOME !! I tried a lot of your recipes and it has always been so yummy.. Thanks so much for your blog, you rock !!! I've never tried collard greens, when I do, I'd like them cooked this way! ANYTHING is better with bacon!!! About to try this recipe! Very excited. 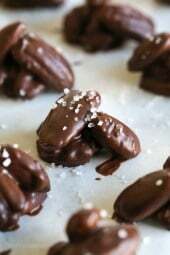 I'm 19 and I'm trying to find easy dishes for me to make, while also helping my mom eat better for her weight watchers! 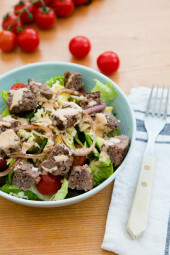 We both love greens, so I'm very excited to try this recipe! I've been bookmarking your recipes all day! Can't wait to try them! Thanks so much, my mom will be proud of me. My boyfriend is Brazilian and we make these with a few scrambled eggs instead of bacon and it is soo yummy! Also good for vegetarians. They really do go so well with beans! My friend just told me about your blog and I am so glad I stopped by to check it out! However I am quite hungry visiting here, lol. I am your newest follower and look forward to visiting often. 🙂 Have a great day and a wonderful new year!! Thanks for the recipe! I've been looking for a great easy collard recipe. I can't wait to make this for my family! This makes me want to try collard greens. On the grocery list they go! Thanks Gina! 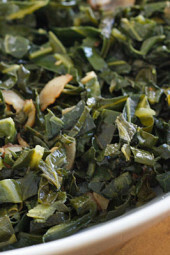 I've never tried collard greens but I'm on the hunt now to try this recipe! 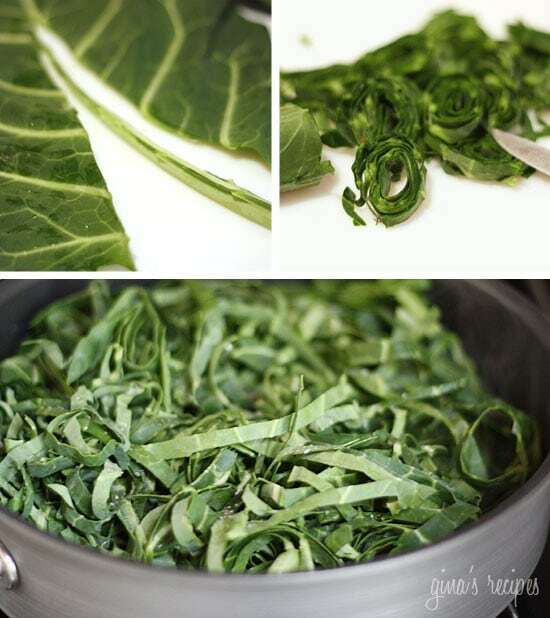 I absolutely LOVE collard greens!Cannot wait to try this!!! I LOVE collard greens, can't wait to try this.